Breaking down Anubis mathematically . 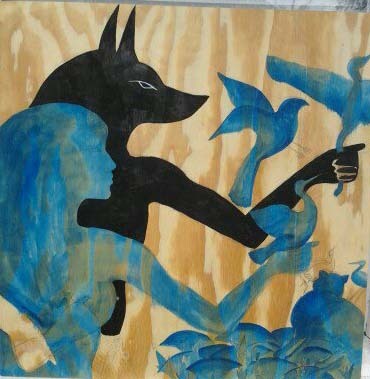 I have never redone a painting before but when I came to my third painting the my series Maia and Anubis int he garden. I wasn’t happy. Yes, I stayed up all night painting for a deadline but when i got done. I wasn’t super thrilled. 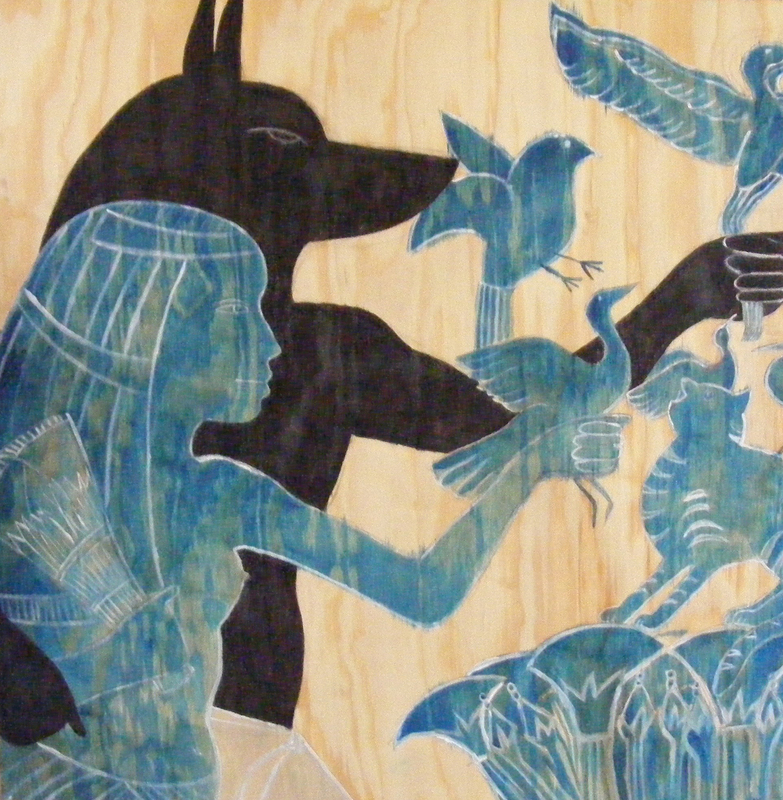 I loved the composition the dynamic active pose but Anubis proportions were not the same as the first painting I did in the series and I didn’t like it. So for the first time I decided to redo a painting. 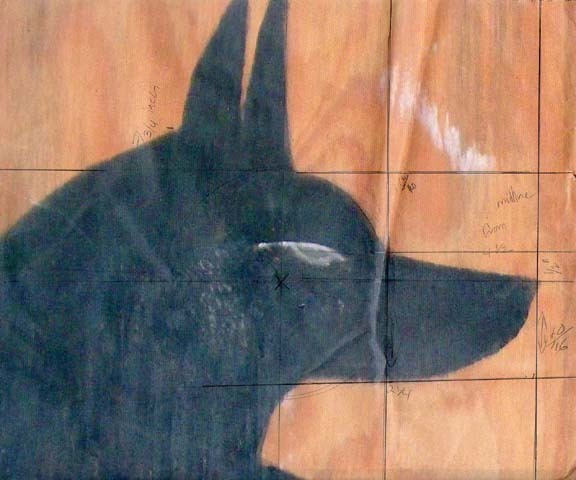 I scanned an earlier image and broke Anubis down mathematically so I could reproduce him consistently over the series of painting, just like the Egyptians did. This is very different from me. I am a fly by the seat of my pants painter. I like to push the paint around and see what happens but this series of work is pretty precise.